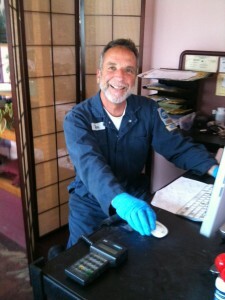 I’m Jim Keeler, owner and founder of NorAm Auto Repair Services. When you call, you’ll most likely speak with me, and I’m the one who will be diagnosing and completing the necessary repair work. I’m a consumer like you, and I like to be treated in a respectful, friendly, and genuinely helpful way. I’m sure you feel the same, and that’s exactly the way I will treat you – and your car. Originally, I began my business in 1982 as a mobile auto repair business, which grew rapidly by word-of-mouth from satisfied customers. After opening the shop in Soquel, I was able to create a different, more personally satisfying auto repair services experience, in that I was able to work on customers’ cars more expeditiously, with a quicker turn around time. I have 30 years experience maintaining and repairing Japanese and American cars. Because my diagnostic and repair skills have been honed from this experience, you can be assured that your car will be diagnosed and repaired in the most efficient and cost-effective way. No job is too small or too big. 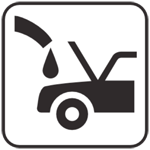 I offer everything from simple oil changes to major engine rebuilds, and follow the guidelines for scheduled services as per your car’s manufacturer’s recommendations. I do not hard–sell you on auto repair services that are not necessary for your car; in fact, where there may be a number of repairs needed, we can develop a timeline and do those repairs in order of seriousness. All of my customers want to get the best out of their car – in terms of reliability and longevity. I see to making that a reality.